The 201 Series is a four-door commuter-type electric multiple unit designed by Japan National Railways (JNR) and was the first of its high-efficiency commuter trains. The 103 Series trains were key in modernizing the JNR, but by the 1970s, they were already becoming obsolete. The Teito Rapid Tranist Authority (TRTA) had already begun producing its chopper controlled 6000 Series in the late 1960s and private railway operators such as Tokyu were producing cheaper field-chopper controlled trains. JNR decided it needed to pick up the pace and developed an entirely new design called the 201 Series with the prototype being completed in 1979. It was the first JNR train to use chopper control and represented an enormous amount of technological progress from the 103 Series and its variants. 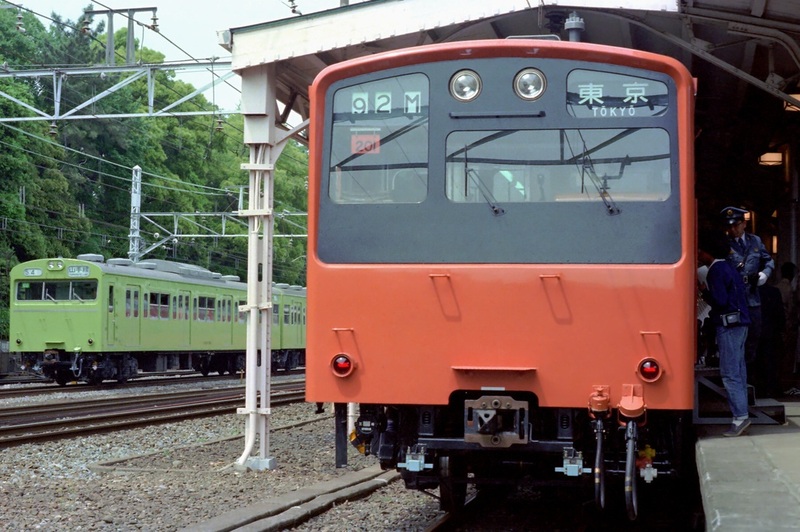 Mass production began in 1981 and the 201 Series became the mainstay of the Chuo Line. 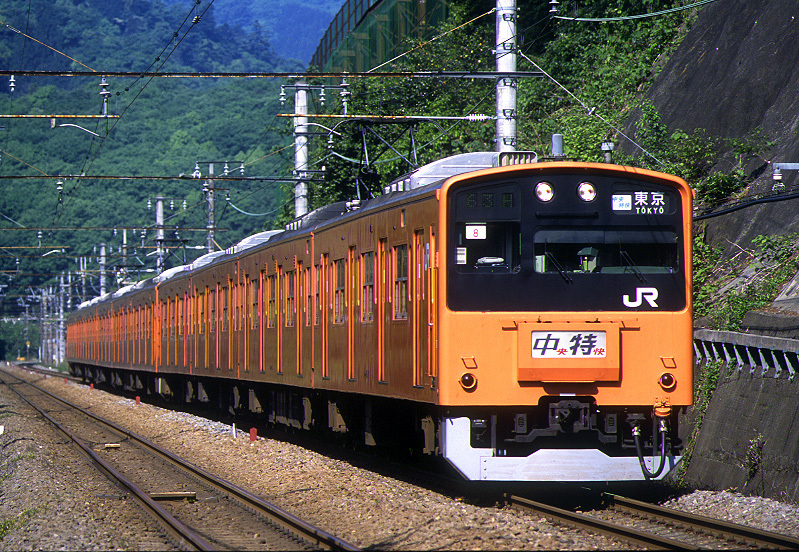 Orange trains were used for the Chuo Line Rapid while yellow trains were used for the Chuo Sobu Line. 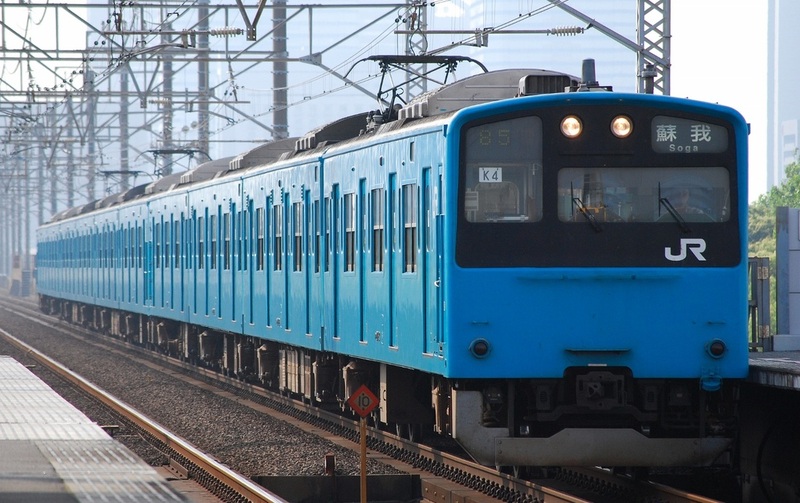 After the E231 Series was introduced to the Chuo Sobu Line, the 201 Series trains were repainted blue and moved to the Keiyo Line. The 201 Series was a huge improvement over the 103 Series, but the chopper control system was expensive to mass produce. It failed to become JNR's standard train, a position that would later be filled by the 205 Series. 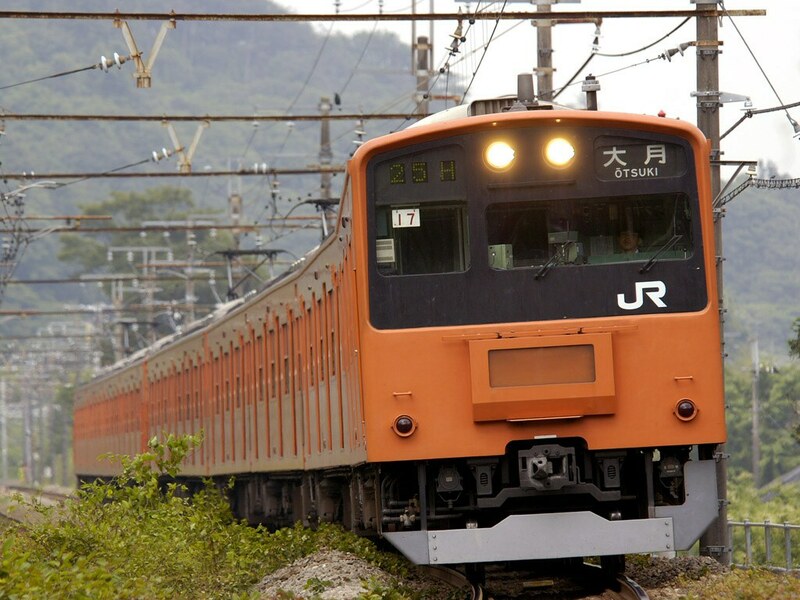 JR East began replacing the 201 Series in 2005 and have replaced its 201 Series fleet with E233 and E231 trains. However, 201 Series trains continue to operate in western Japan.